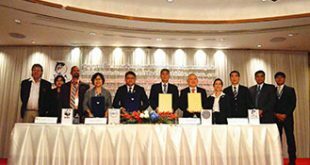 SEAFDEC organized the “6th Meeting of the Gulf of Thailand Sub-region” from 28 February to 2 March 2017 in Bangkok, Thailand with support from the SEAFDEC-Sweden Project. The Meeting was attended by representatives from the four (4) Gulf of Thailand countries, namely Cambodia, Malaysia, Thailand and Viet Nam as well as senior officers from SEAFDEC Secretariat, MFRDMD and TD. The Meeting was also attended by representatives from collaborating agencies, namely: the Fish Marketing Organization (FMO), Food and Agriculture Organization of the United Nations/Regional Office for Asia and Pacific (FAO/RAP), International Labour Organization (ILO), Regional Plan of Action-Illegal, Unreported and Unregulated Fishing (RPOA-IUU) Secretariat, and Swedish Agency for Marine and Water Management (SwAM). The objectives of the Meeting were to update the progress of the implementation of activities approved in the previous Meeting of the Gulf of Thailand Sub-region and to review the steps taken in strengthening cooperation on transboundary fisheries and habitat management options for joint approaches on assessing the availability and exploring future expansion of bilateral dialogues on monitoring and control of fisheries activities including combating IUU fishing and management of fishing capacity. 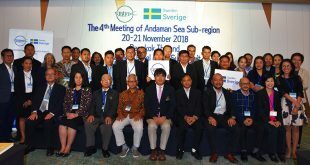 The Meeting introduced the recently started SEAFDEC/UNEP/GEF South China Sea and Gulf of Thailand Refugia Project and explored options that built upon common objectives to strengthen sub-regional cooperation for the integration of habitat and fisheries management. Progress in the implementation of the transboundary stocks and habitats, and subregional cooperation on the management of transboundary species, e.g. 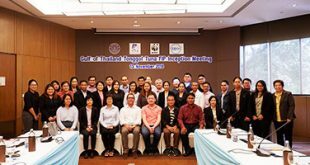 anchovy, Indo-Pacific mackerel, blue swimming crab (AIB species), and management cooperation for the Gulf of Thailand subregion based on the results of the stock study of tonggol tuna and kawakawa, and ASEAN Catch Documentation Scheme were also discussed. Moreover, the Meeting also identified the common priority areas and developed recommendations for the Gulf of Thailand sub-regional management priority, the results of which will be used as a basis for Gulf of Thailand inputs for discussion during the development of the ASEAN Common Fisheries Policy (ASEAN CFP).